The articulated trolleybus no. 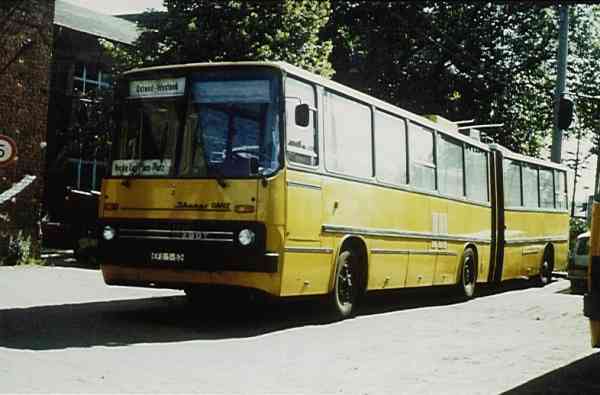 008 of the Hungarian type Ikarus 280.93 was scrapped on 15 August 1995. This photo show the articulated trolleybus no. 008 of the Hungarian type Ikarus 280.93 at the old depot Eberswalde/Bergerstraße.